When the family fortunes improved, Charles went back to school, after which he became an office boy, a freelance reporter and finally an author. With Pickwick Papers (1836-7) he achieved immediate fame; in a few years he was easily the post popular and respected writer of his time. It has been estimated that one out of every ten persons in Victorian England was a Dickens reader. Olive Twist (1837), Nicholas Nickleby (1838-9) and The Old Curiosity Shop (1840-41) were huge successes. Martin Chuzzlewit (1843-4) was less so, but Dickens followed it with his unforgettable, A Christmas Carol (1843), Bleak House (1852-3), Hard Times (1854) and Little Dorrit (1855-7) reveal his deepening concern for the injustices of British Society. 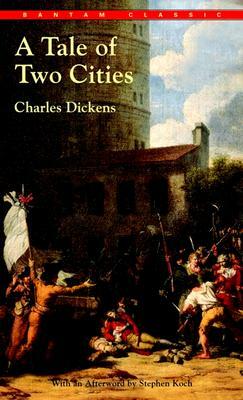 A Tale of Two Cities (1859), Great Expectations (1860-1) and Our Mutual Friend (1864-5) complete his major works.